310,000 marchers strong in NYC alone, the People’s Climate March was way more than the sum of “tree-huggers” in tie-dye and Crocs. 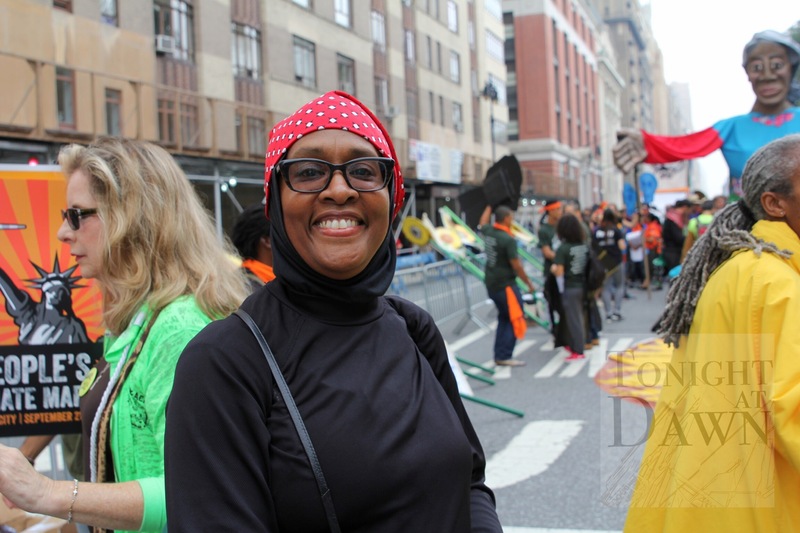 Stretching organizer’s dreams, the Marchers lined up along Central Park West for 33 city blocks and the diverse group represented nearly every corner of our nation and our world. Two hours into the parade, the back of the line had still not moved forward. 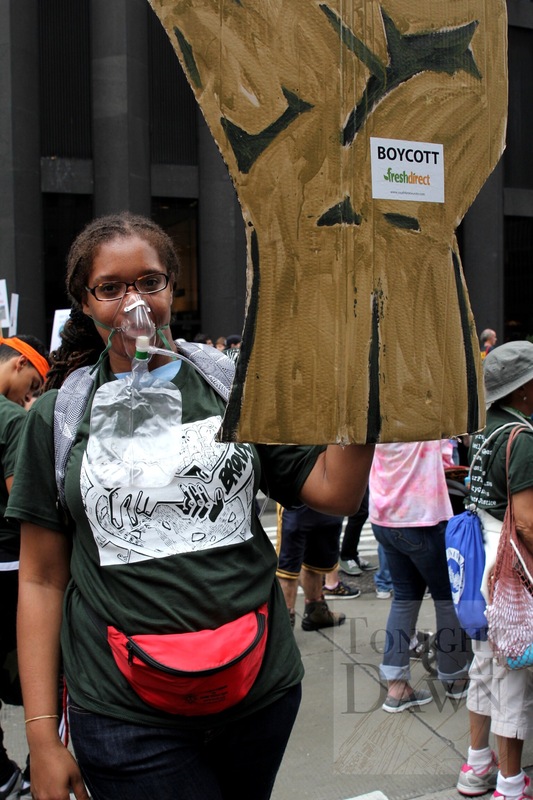 “We said it would take everyone to change everything — and everyone showed up,” said Eddie Bautista, Executive Director of the New York City Environmental Justice Alliance. Although the message was united, many groups brought with them their communities’ specific struggles in adapting to the new normal. South Bronx residents are hospitalized at 5X’s the national average for asthmatic issues. The resident coalition, South Bronx Unite, is advocating against an additional perpetrator on their health. They may argue the irony of their approaching nemesis’ name, FreshDirect. 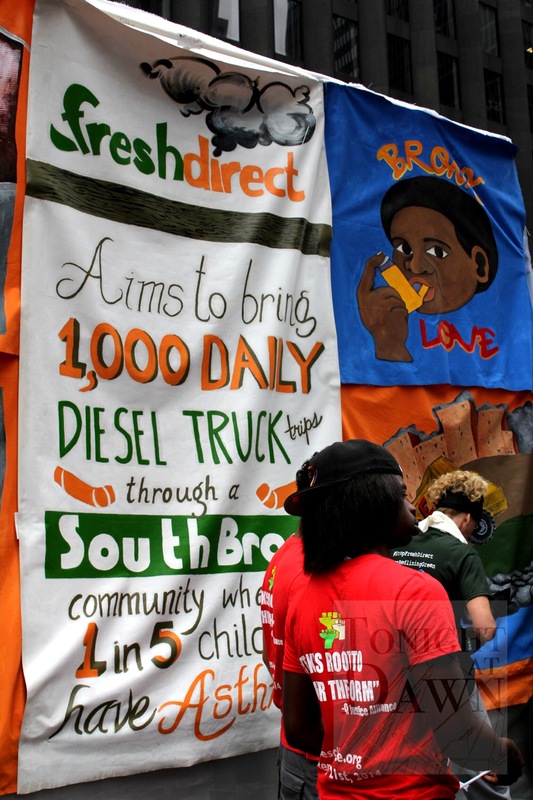 South Bronx Unite used the march as a forum to express their opposition to the on-line grocer’s plans to relocate its diesel truck fleet to the stressed community. According to the coalition, the deal was created without community input and a current environmental study. Estimations indicate that FreshDirect would add more than 1,000 daily diesel truck trips through “…a residential neighborhood facing a health crisis for decades of dumping industrial and diesel truck-intensive facilities in the neighborhood”. Additionally, South Bronx Unite says that FreshDirect would desecrate documented Native American burial grounds. What will Bronxites get in return? Perhaps nothing positive as reportedly there are no guarantees in place that they will even gain the low wage jobs that FreshDirect would be shipping through town. From across the Hudson, Debra Chandler echoed similar concerns for her city in New Jersey. She had joined the march because she believes in allegiance with those she feels are most greatly affected by policy; the most impoverished and people of color. Newark’s own air is affected such things as incinerators, bus depots and brown fields. 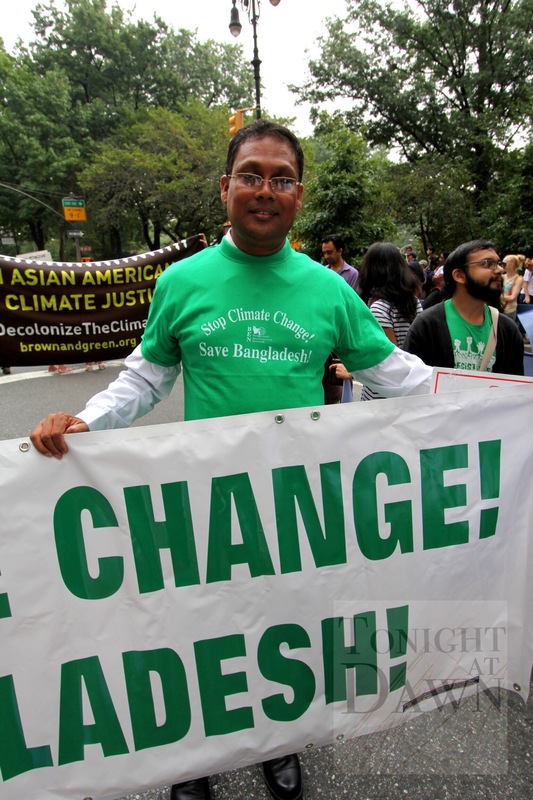 Farouque Zamn was out yesterday in support of the the Bangladesh Environment Network. Water is the essence of the nation’s environmental woes. Ironically, they may suffer from both a lack of water for agriculture and an inundation of sea water. Upstream Indian dams and record temperatures threaten to dry out rivers in Bangladesh while its flat geography leaves it vulnerable to rising sea levels. “If us Marshallese lose our islands, “Kathy Jetnil-Kijiner implored, “we lose our connections to our land, we lose our connections to our culture and to our identity. Jetnil-Kijineris journalist and teacher raises awareness on her nation’s plight through poetry, spoken-word, journalism and as a co-founder of an environmental NGO. 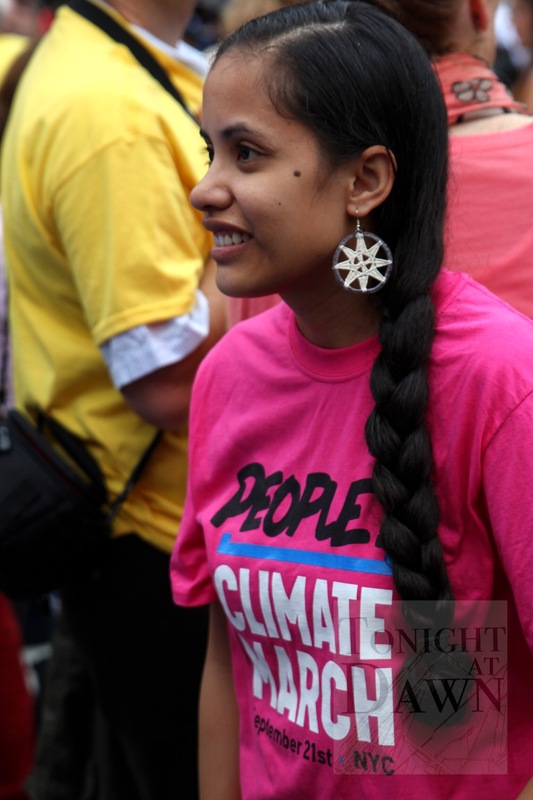 Not only did she eloquently speak her truths ahead of Sunday’s march, she is also in town to speak today to the hundred plus heads of state at the UN’s Climate Summit. Certainly, the Marshall Islands is one of the poster children for global warming. With an average land height of around 2 meters above sea level, Jetnil-Kijineris’ islands are already highly vulnerable to the Pacific’s waves and storm surges. 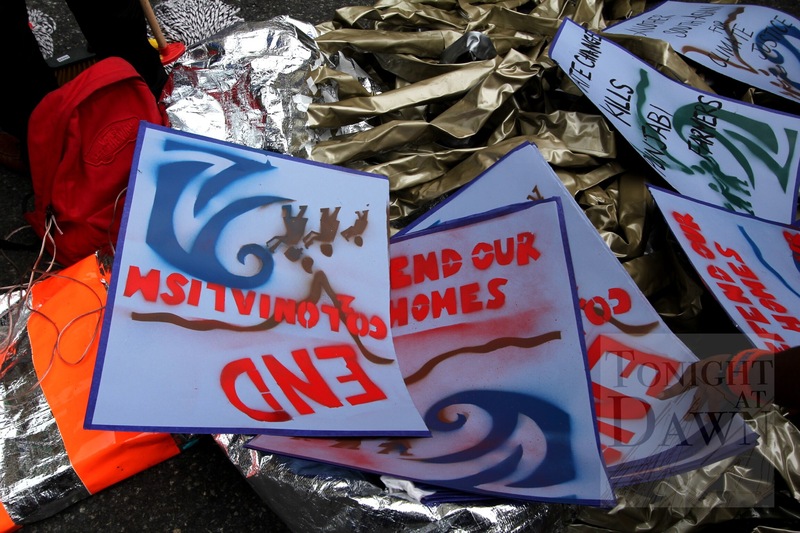 As is clear in her plea, the Marshallese are at risk to becoming environmental refugees. Did you know we only have 40 or so years left of topsoil to grow our food? Click here to learn more about the beauty of dirt & mud.